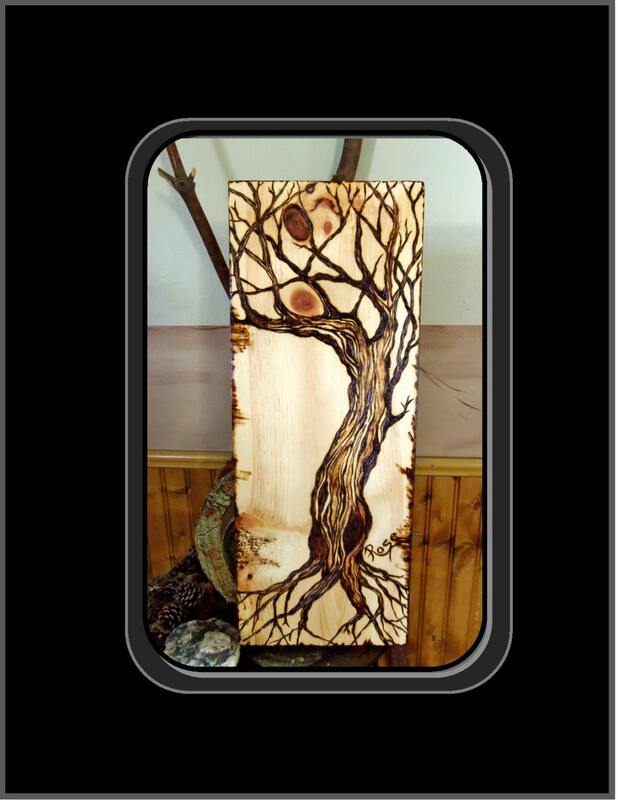 Family Tree of life Genealogy Plaque! 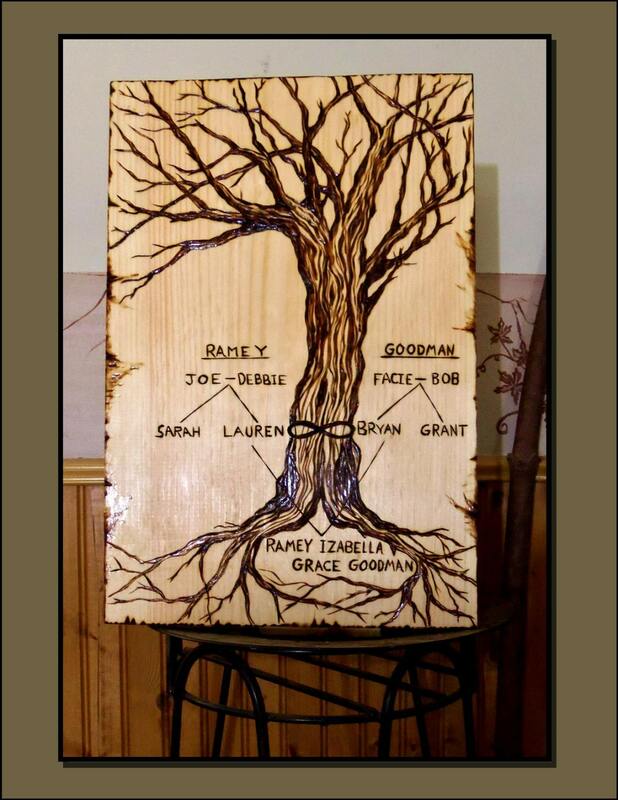 If you order my Family Tree please list the names you want on your Custom Plaque! 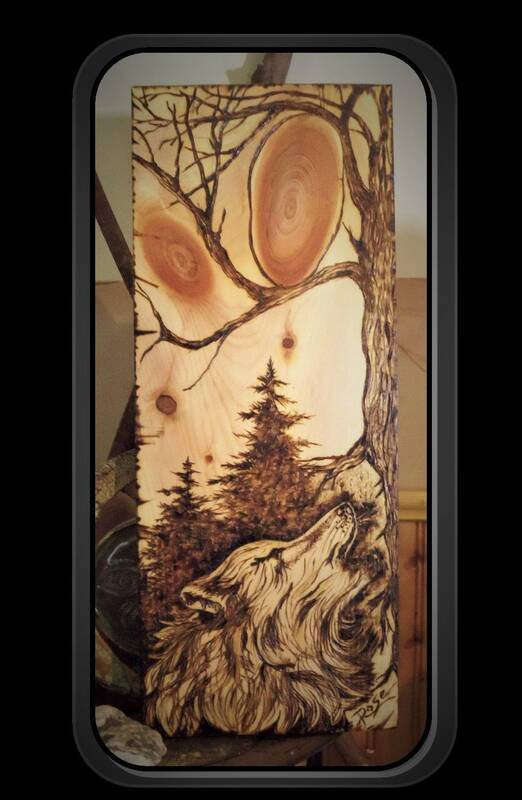 My "One of a Kind" Custom designed, Wood burned plaques, Nature Howling Wolf and Tree of life, Art/wall hanging! These are the only One of These Designs Available! 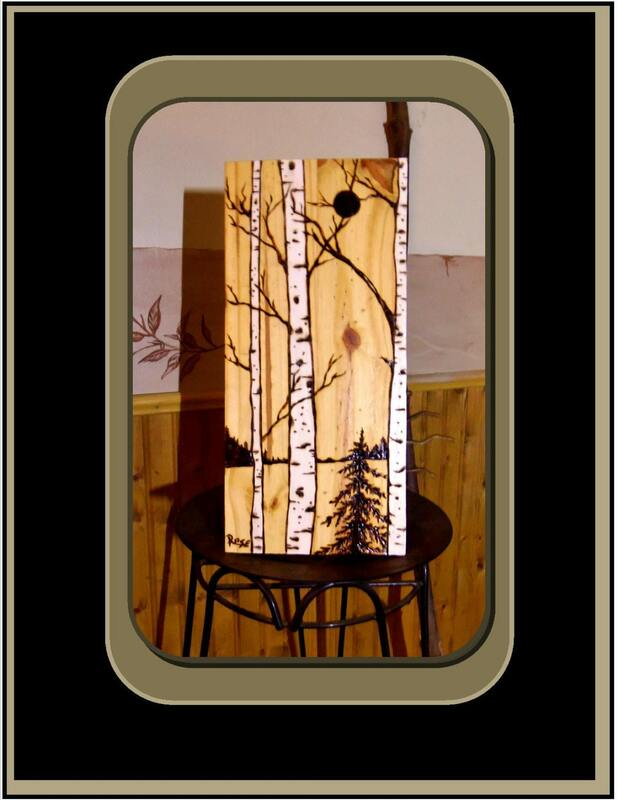 Once they are sold I can make a custom plaque for you that is similar but with some Artistic variation! 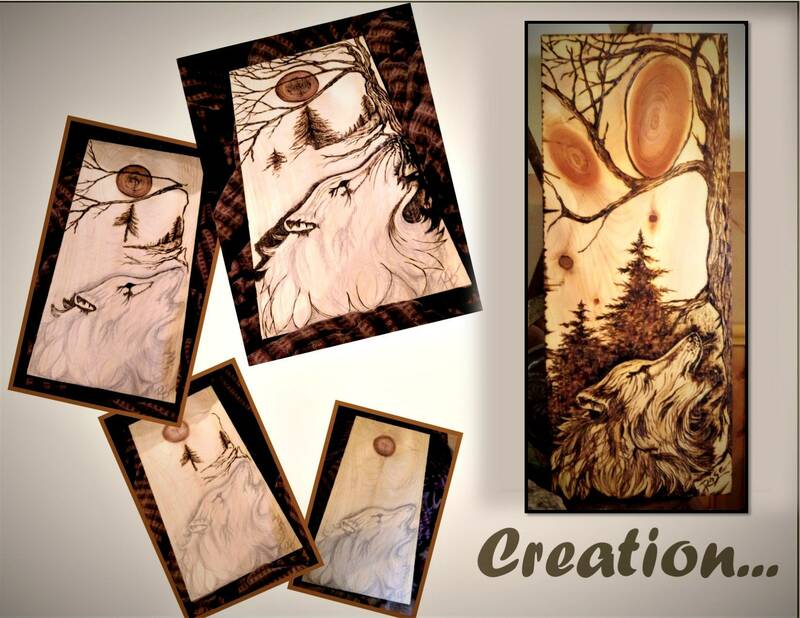 The Wolf measures 18" x 8" x 3/4"
Birch Tree Forrest 22" x 10" x 3/4"
Large Tree measures 22" x 10" x 3/4"
Wine and Romance 14" x 12" x 3/4"
Family Tree approx. 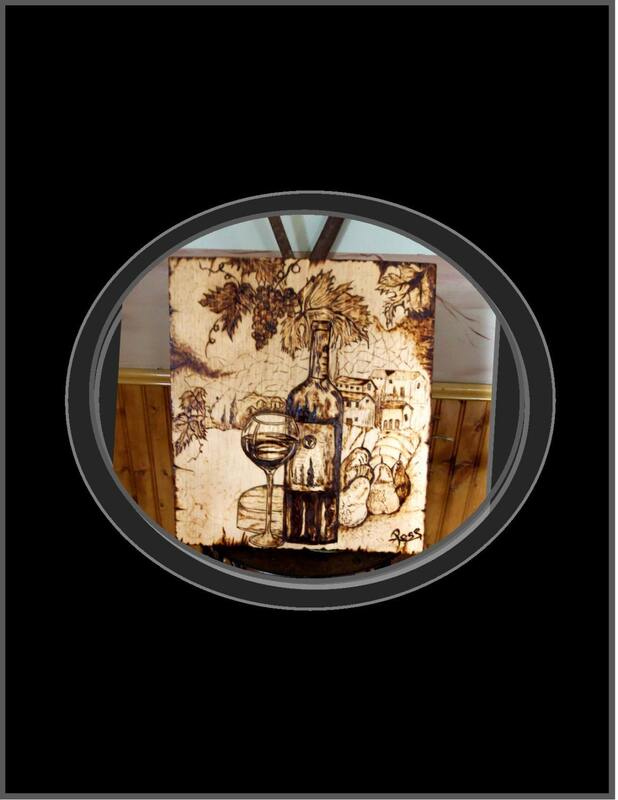 18" x 12" x 3/4"